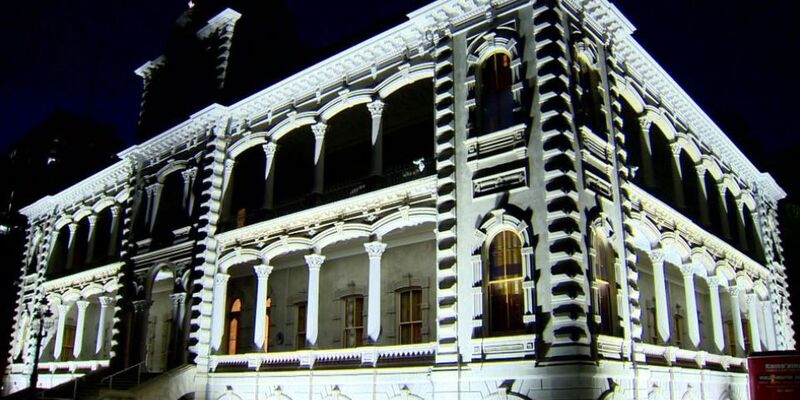 HONOLULU (HawaiiNewsNow) - 'Iolani Palace is shining brighter than ever with a new look from LED lights. More than 1,000 lights were installed at the royal residence, illuminating the palace in the dark night. The Friends of Iolani Palace are thrilled to see the Hawaiian flag lit up again in the bright lights. "Iolani Palace still shines authentically, but now with even more beauty and detail. And at night, you can now clearly see the Hawaiian flag flying proudly, no longer hidden by the cover of darkness," Kippen de Alba Chu, executive director of The Friends of Iolani Palace said. The new lights are saving the palace about $1,200 a month in energy costs. "Iolani Palace serves as a model for how historic sites can evolve in an energy-efficient world," Brian Kealoha, Executive Director of Hawaii Energy said. "We are proud of the partnership with Iolani Palace to help reduce energy usage and pursue a 100 percent clean energy future." The lights and fixtures are also said to resemble lighting from the Monarchy era. A grant from the state provided about $90,000 for the project which took several years to complete because various testing and design elements needed to be met. Since these lights don't put out ultra-violet rays, they're also less damaging to artifacts.